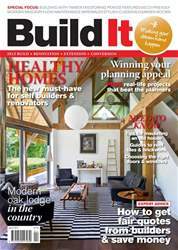 Oak framing creates a standalone structural skeleton capable of supporting itself and the weight of the roof and floor structure, without the need for structural panels or sheathing. Green oak (recently felled timber) is used because it’s easier to cut and shape. The structure will dry out over time, shrinking into place and creating the unique splits that many homeowners find so alluring.